The city of Limerick shares EVA 2014 between two main venues. The main gallery is Limerick City Gallery of Art (LCGA). The second space is a disused milk plant on the other side of the river. This latter site reflects the changing economics of the city, from an agricultural hub to one of culture. Indeed the plant once owned by Golden Vale shows the signs of disrepair. While LCGA’s white walls interiorise and vacate the space for the art work to be shown, the rough and ready, barely prepped walls of each shed, workshop and loading dock offer a countenance to the viewer of videos and professionally produced artworks. A number of locations around the city saw events take place, from performances to locally based workshops and artist talks. The Hunt Museum housed the work of Bisan Abu-Eisheh and Ann-Sofi Siden. While the Bourne Vincent Gallery held works by Uriel Orlow. In the City Gallery, Raqs Media Collective + Iswanto Hartono provide our first glimpse of Agitationism. This work takes the form of a protest. Phrases like ‘make no promises’ and ‘take no prisoners’ can be read on the wall. It is the word ‘NO’ which stands out. The ‘O’of ‘NO’ is a black abyss, roughly four to six foot in diameter. This giant ‘O’ is also mirrored and we can see that its circular frame reflects back our gaze. The added depth is produced by a clever trick of light and suddenly we appear trapped in a space of singularity. We are alone. This work is placed close to the main entrance of the main gallery. Soon your image of isolation is intruded upon and the next viewer appears to share in the same beliefs. The sign reads the same for each who pass. This means that no matter the individual viewer, it is the beliefs of an artist collective that we must address and not our own. Perhaps our own beliefs are too readily replaced by those of the next man. So perhaps we are the ones who should be agitated by this particular work. Agitationism stands as the title which unites the curators selection. With this word El Baroni refers to a ‘working through’ of social, political or even artistic systems of activity. This working through implies a conflict of sorts. The work of EVA 2014has all been presented on this basis. This being the 36thedition of EVA International, the artworks have been drawn together from across the globe. 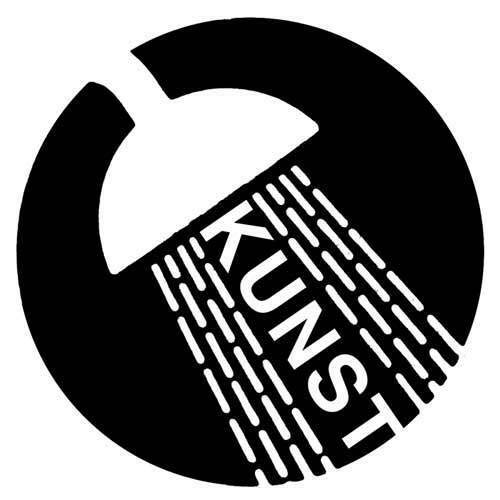 A number of Irish artists have also responded to the call for submissions. In turn, they have been given pivotal roles in defining the tone and reception of Agitationism. Providing the anchor to ground is Garrett Phelan’s drawings/advertisements for EVA International publications and James Merrigan’s +billion- online critical companion. 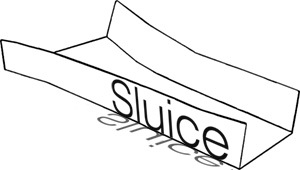 Alongside this local coverage, video works by Patrick Jolley and two Galway artists Tom Flannagan and Megs Morley, a collaborative performance event with local young people hosted by Limerick artist Paul Tarpey, and A Public Discussion About Contemporary Art and Philosophical Ideas (with children)hosted by Limerick City Gallery of Art, all reach into the heart of the issue of representation. Agitationism refers to a process of agitating systems. One of the single most important attributes for such an operation is criticality. The artist Humberto Velez, who locates his place of living and working as both Mexico and Manchester, also presents a gap in his work THE UNDERDOG or EVA International Cup 2014. For this work Velez employed the local dog track. The names of the greyhounds running in his ceremonial race were all temporarily changed to highlight issues of “politics, culture, identity and economics”. This means that punters could cheer their support for each dog and enjoy the comfortable surroundings of the local nightlife. It also brought together two different social demographics and allowed artists to mix freely with locals. Perhaps this is the sort of agitationism which El Baroni means. The work of Luis Camnitzer, a man born before the second world war, addresses the viewer on the stairwell of Limerick City Gallery of Art with the phrase “All those who can’t read English are stupid”. His work, Insults, seeks to poke fun at us. Although we may read the English version and feel excluded from its discriminatory message, we might not understand the version in Russian or one of the other languages which he presents withhis black vinyl lettering. Camnitzer’s words read the same whether you are going up or coming down the stairs. You do not have to be able to read all the languages provided in order to appreciate his message of understanding. Although you might not understand the Irish word dúrto mean ‘stupid’, it does. Both stupidity and ignorance are presented here to be a universal concern, other people don’t know what you know, they know what you don’t. If language, a tool for communication, is employed as a tool for discrimination, then paranoia comes of its variety. Thankfully, Camnitzer has stressed the short-sightedness of this historically tragic perspective. LCGA also houses something called Final Machine. 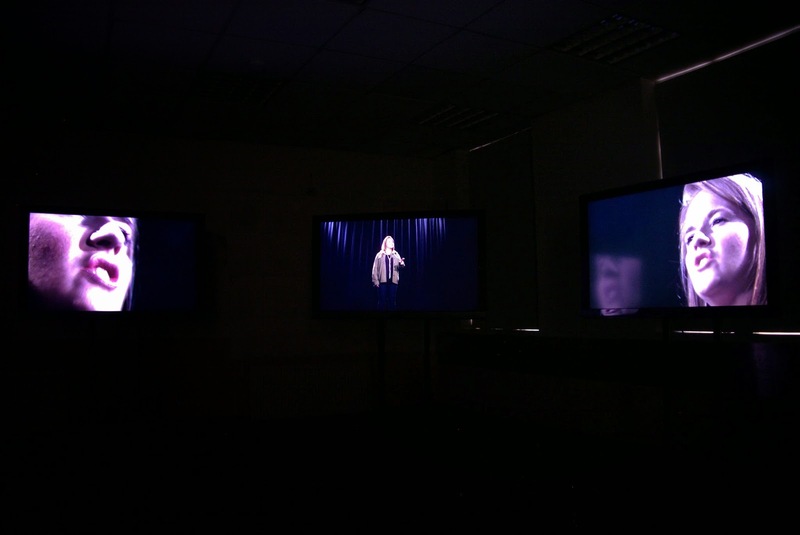 The work is presented as a three channel video installation. In a single room, three circles of coloured light are matched by the repetition of circles cut into the carpet on the floor. Using the circle as a visual formula, Amanda Beech defines, focuses, and disguises what is in the frame. As the channels change, her subjects range from philosophy and spontaneity, to natural science, and even covert operations of the CIA. Beech uses sound and images to bridge the various content of this work. Just as it appears that the image is about to collapse, she withdraws the camera and a new landscape rises. Through her vision, the world before us explodes with a bang and a glimmer. The action disappears into a remodeling of the desert floor, composing a universe of rocks and the creatures which surface. As she shows it, the final machineis earth and its ecology, including all human activity. This suggests that although we have the tools to observe and to extract, we have some way to go to utilise this knowledge for evolution. Advancement beyond these essentially primitive means remains concealed behind the means and tools of our understanding. In this, and in the video work by Jenny Brady, we might witness that nature does all the work for us. Although Brady’s parrot in Wow and Flutter does little more than be a parrot, our own natural curiosity about a bird which can appear to mimic our speech is more than enough to promote ideas of escape. In imitation, we are flattered. And yet Brady’s subtitles for Rocco suggest that the parrot knows more than he’s saying. 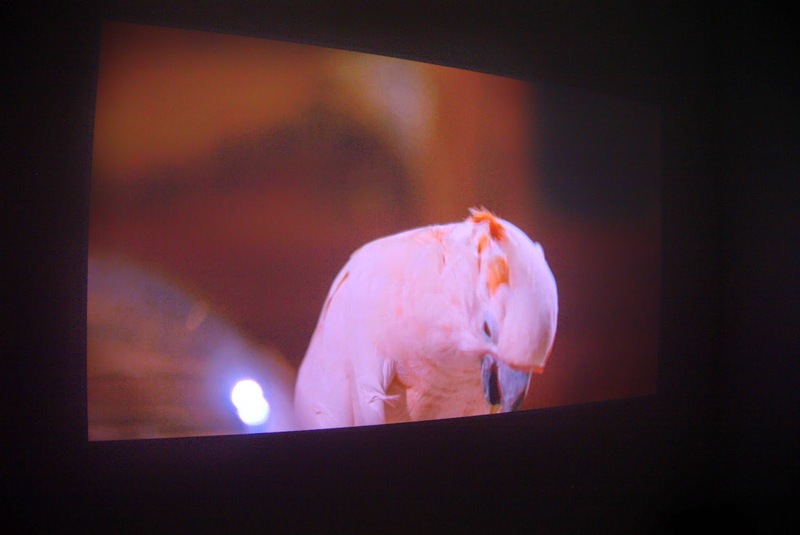 On screen, the otherwise closed speculation around what parrots have to say about being is covered upby the colours and feathers of a creature born to fly. Final Machine was located in LCGA, while Wow and Flutter could be seen in a small room of a disused milk plant. In the case of each video, we are shown how nature is a significant constant, one which we can use to support any number of very man-made arguments. In the ways we relate to nature which is not our own, we may in fact be born to agitate. Perhaps this natural relationship is what classifies Agititionism as natural also. Brady’s stooge is given the words we assume a parrot might speak. This somewhat mirrors the work of Galway based Tom Flanagan and Megs Morley, directly across from it. Taking a speech written by Karl Marx for the occasion of the 1867 meeting of the International Working Men’s Association, Morley and Flannagan use the medium of video to relay its sentiment. Although never delivered by Marx, its existence appears to locate the island of Ireland as a political stage worthy of the example and recognition. Presented here as a three channel video, The Question of Ireland is interpreted on stage by actors. The questions themselves were written to an anonymous public by a sociologist, a playwright and 1970’s political activist, Bernadette Devlin. It is not made explicit whose words each actor is speaking, but if the message is veiled it is also enhanced in ways both cinematic and theatrical. The centre-stage of Galway’s newly rebuilt National Theatre of Irish Language is employed for its empty seats and impact lighting. This staging is furthered by the additional angles and close-ups of each speaker, as provided by the multi-channel set up. The feelings on show unsettle in more than just their delivery. However, it is perhaps the camera’s clinical examination of facial expressions which affords us the possibility to be morbid about subjects so alive with recognisably local consequence. In spite of, or maybe because of this rhetorical enhancement, we are stirred by our very inaction. We remain merely viewers, while the words spoken on screen are those of actors in our place. Systems theory is what defines The Tent provided by Elizabeth Price. Along with Punk. Both came out of England in the 70’s. In a high-roofed shed, this one video installation dominates the open space. As Price initiates tensions of audio visual experience, she draws out yet others with her use of a tent. 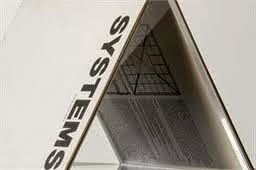 In the form of a book called Systemsshe defines the practicality of systems theory to underpin the book’s very standing. Its standing on screen forms a triangle shape, the base supporting a single extended peak. This motif, along with many other architecturally inspired designs, is visible in Price’s video construct. A radio hanging off the wall receives the tinned chatter from local airwaves. Observing the strengths and weaknesses of varying counter arguments of systems theory, Price takes us through a wall of noise to arrive at her impressions of petulanceand acceptance. The lights of her studio form a halo on screen. If nature is what defines our relationship to be that of agitator, Price reminds us that it is important not to be too clear about our definitions of nature itself. Perhaps the plainness of such comprehension would only make chaos all that more attractive a proposition to those who understood the simpler forms of such action. Still on the grounds of the old milk plant, This Monkey,is provided by The Patrick Jolley Estate. It is a short video starring the rhesus monkeys of Delhi’s backstreets. Their protest occurs on screen in the absence of humanity. They leap and sprint past the camera. Their behaviour is not for the screen but for the chances which they define as real. They lurk in the abandoned areas as intruders of the city. The video ends with an allusion to violence, monkeys standing over the discovered bones of sacrifice. We may determine that the monkeys know little of our horror. The music for the duration is a haunting and inexplicable score, instrumentalising and identifying locality as the partition which produces culture. Limerick City’s claim to a product so consistent that it may be called a Biennial in more than name shows EVA to be reaching for a greater visible impact. In a work by Ingo Giezendanner or GRRRR, large scale drawings reveal the black and white outline of the word ‘JAM’. This is just one element of the graphic murals inspired by his time in Limerick. Back on the other side of Ireland’s largest river, a range of architectures appear as protest, or at the least, inconsiderate. In their very real life setting, the word ‘JAM’ appears high above a busy street. It is as though the action of the artist’s recognition has produced a fabric of the place. By showing the graffiti artist to act locally in the same manner as the EVA itself, the curator reflects how in fact both respond to the conditions and express through them as a part of the city. When the philosopher Immanuel Kant wrote of agitation in 1790, he was referring to the mind, specifically the impact incurred when we experience the sublime. Egyptian born Bassam El Baroni has shaped his choices for EVA 2014 around works which reflect systems of power through challenge. As we know, this challenge might be born of nature or nurture. The sublime is not simply an aesthetic principle, mathematical in its exactitude. It is defined also as a principle of self-preservation. If we understand our relationship to nature to be good for our survival, we will regard it in terms of the sublime. If we place ourselves above nature, this relationship may only take on the power of aesthetic appeal. Certainly the belief in an awesome force is necessary to agitate the mind. It is such agitations which compel our futureactions. In this light, EVA 2014, Agitationism makes a statement which can be understood as intended to spark future activity. For El Baroni, the viewer is part of a wider community. Agitation is thetrigger. It clicks to agitate. Darren Caffrey is supported by an Artlinks Bursary.